Samsung has inaugurated its mobile payment system, called Samsung Pay, into its 2015 smartphones, including the latest, the Galaxy Note 5, that was revealed back in August. The Korean giant waited until one month later after the Galaxy Note 5 unveil to reveal its Gear S2 smartwatch at IFA 2015 in Berlin, Germany. Since Samsung has evidenced its desire to see mobile payments come to all its devices, including smartwatches, many a Gear S2 buyer and fan have been anxiously awaiting the day when Samsung would announce Samsung Pay for the Gear S2. Unfortunately, if you stand in that camp, as do I, you’ll have to wait until 2016. 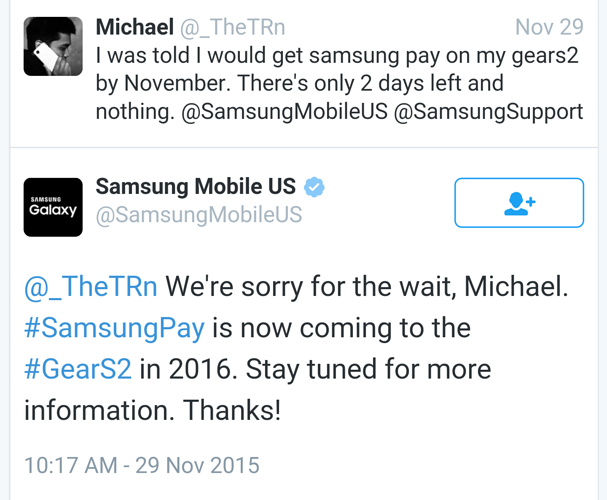 So, there you have it: if you’ve been hoping to pay for your groceries, a movie rental, or even a candy bar or two with your Gear S2 smartwatch (yes, tech enthusiasts want to whip out their wrist and do “magic tricks”), you’ll be waiting for a while. 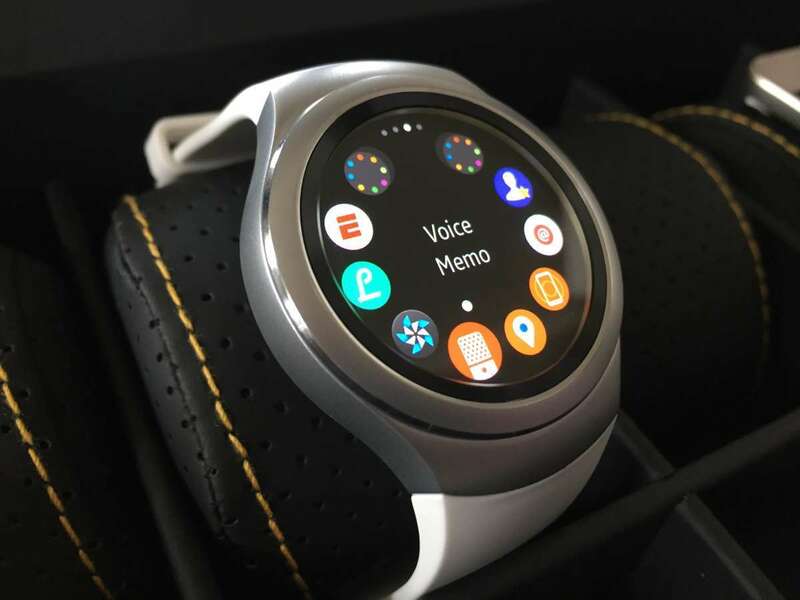 Hopefully, if you purchased a Samsung Gear S2 smartwatch, you also have any one of the company’s latest smartphones (Galaxy S6, Galaxy S6 Edge, Galaxy S6 Edge+, Galaxy Note5) – all of which have Samsung Pay compatibility.